Cheerleading is one of the top expanding sports around today, in particular with all-star cheerleading squads. Cheerleading has transformed from being a school sponsored team where the prettiest and most popular girls are on the squad, to being a team comprised of people who go to different schools and live in different areas. All-star cheerleading is a sport that requires increased strength, deeper flexibility, more discipline and higher levels of endurance than others. Cheerleading helps enhance your balance, improve your coordination, and strengthens your muscles. It also helps to increase team spirit and requires a higher level of discipline due to its competitiveness. All-star teams typically choose to have more eye-catching All Star Cheer Uniforms than the more traditional style school sponsored teams. A trendy new style among All Star teams is having portions of fabric missing (allowing bare skin to show) across the top on the shoulders, at the top of the back, or on sections of the arms. 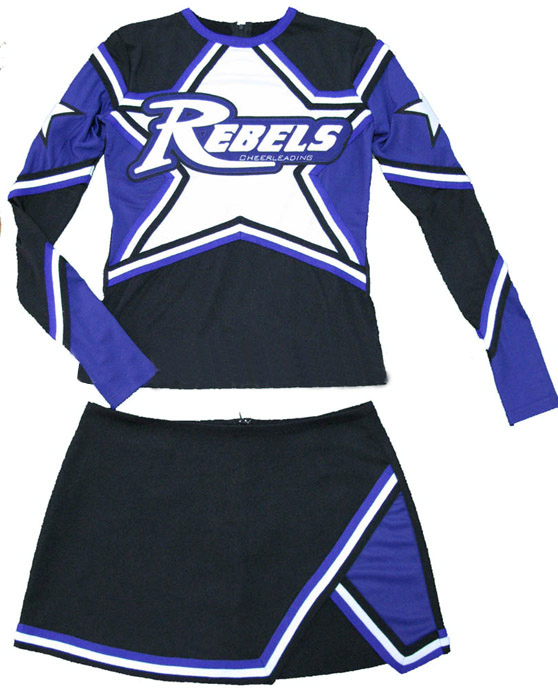 Adding metallic, sequins or other specialty fabrics to their uniforms is a sure way to catch their audience’s attention and steal the show with your All Star Cheer Uniforms. 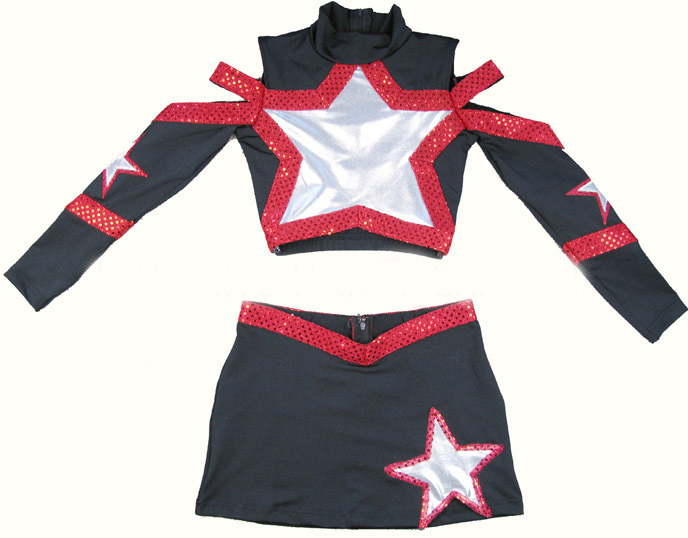 Cheeretc.com has a fantastic selection of All Star Cheer Uniforms and all the other items you would need to outfit your all-star team. 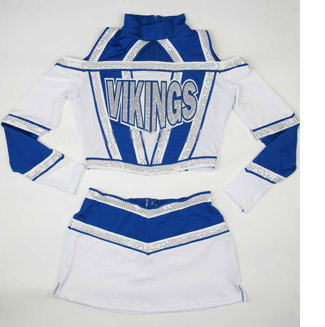 Custom All Star Cheer Uniforms start as low as $59.00 per set, and you can dazzle them up with adding metallic and sequins and lettering. They have hundreds of warmups to pick from, and can even do custom designs. In-stock warmups are as low as $47 per set and they have all the newest styles and technical fabrics. 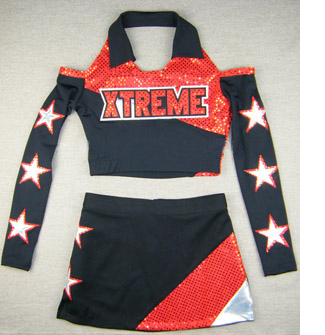 You will look amazing traveling to competitions wearing matching warmups – they can even match your uniforms!